When songwriter Jason Isbell accused Dierks Bentley of stealing his melody for "Home",Bentley's 2011 single from the album with the same title... Bentley just laughed it off while Jason Isbell, the Grammy award winning Country artist put his reputation on the line which he would regret later. Inspired by Tucson, Arizona shootings where six people were killed and the U.S Representative critically injured, the song debuted at 53rd spot on the US Billboard Hot Country Songs on October 15, 2011. Arizona Centennial Commission chose Dierks Bentley's "Home" as their official song for their Centennial year celebrations,the turn of events made Jason Isbell retract his earlier statement against Bentley. 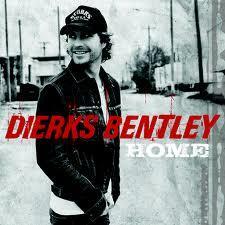 Selling close to 600,000 copies,Home..however was just an average hit for Bentley's high standards who had released many multi-platinum albums in his decade long career including self titled 2003 debut album Dierks Bentley and Modern Day Drifter a 2005 classic. Since many of his songs are a fusion of rock,bluegrass and country classics, he was able to sell more than 5 million albums with his decade long tryst with Country music. This Phoenix singer, also a licensed pilot is married to his childhood sweet heart Cassidy Black and is a father to two girls and a boy.